Posted by fliere on Wednesday, February 28, 2018 in Courses. Catalog description: Late nineteenth to mid-twentieth century. 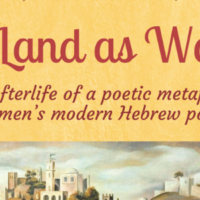 Diaspora, minority writing, gender, from shtetl to city, and the Holocaust. What is modern Yiddish literature and why does it matter? A diasporic language and literature unattached to any single nation, the story of modern Yiddish literature is the story of immigrants, revolutionaries, and rebels. How did Yiddish writers imagine themselves in a world whose political borders were constantly shifting and in a language whose future was always uncertain? 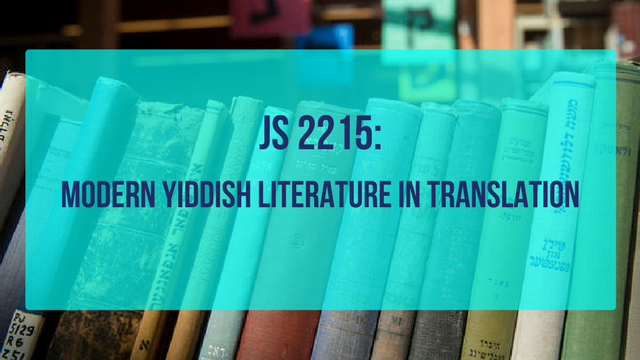 From the shtetl to the Soviet metropolis, from the Lower East Side to Tel-Aviv, we’ll read works of Yiddish literature that document the major transformations of the twentieth century by Sholem Aleichem, Fradel Shtok, Kadia Molodowsky, Dovid Bergelson, Peretz Markish, Celia Dropkin, Anna Margolin, and Abraham Sutzkever.